It turns out taking a cold shower to receive the benefits is only 2 minutes. It’s simple, right? Turn the tap to cold, deal with the short term shock, and then get out and dry yourself. After using the Wim Hof Method to improve my cycling performance and also testing the impact of cold exposure on myself I’ve had several people approach me to say they’ve started taking cold showers. Intrigued to understand if they’re doing it correctly, people often ask questions about how how long for and what if scenarios. While it’s pleasing to hear that people have taken note of the health benefits that come with cold exposure, I feel it’s important to understand that, like anything, you condition yourself before you go all in. I first became interested in the Wim Hof Method after listening to a podcast Tim Ferriss did with Wim Hof. As a continuation of the Wim interview, Tim had one of his close friends on his podcast a few episodes later. They had both recently completely the Wim Hof method and were discussing cold showers and then ice baths, describing the exhilaration that goes with it, and the touted health benefits. This sparked my interest further, so the very next day, in the middle of winter in cold Melbourne, I decided to have a cold shower. I forced my way through it, shivered, and while I felt awake and ready for the day, I’d clearly crossed a line my body was not yet prepared for. I couldn’t get myself warm for hours, and when I finally did, I was fatigued for the rest of the day. An experience like that was enough to put me off, at least for a few months! After continuing to research the Wim Hof Method, I finally decided to go all in. I then started to think about the cold showers and ice baths that were to come. How was I to cope with the cold showers for 10 full weeks? It seems obvious now, but getting the body conditioned to the cold doesn’t start with a full cold shower. Nor is a full cold shower required to get all the benefits. It’s a build over several weeks, like any other type of conditioning. 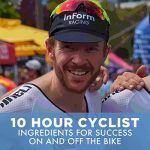 For example, if you were training for a 200 kilometre ride you wouldn’t just go out and ride 200 kilometres from the get go. You would do some training to build into it, perhaps starting with 50 kilometres, then 100 kilometres and so on. This is steadily conditioning the body, something we often neglect when we’re jumping into a new thing. The same goes for cold showers and cold exposure, so how should you approach it? My recommended approach is to start off with 30 seconds of 100 percent cold at the end of your typical shower. You might do this for a week or two until you’re prepared to make it to a full minute. Then, after another week or two, you would start with the cold water running and do one minute cold upfront, turn to warm in the middle part of the shower, and then one minute of cold at the end. 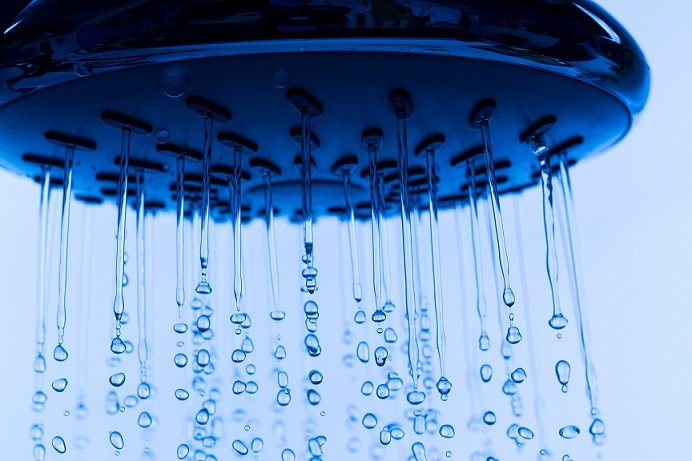 It turns out, to get many of the benefits from cold showers you don’t actually need to stand under the cold for minutes on end. A full two minutes at the end of each shower will do the trick. One of the core pillars of the Wim Hof Method is concentration and focus. This applies when preparing yourself for the cold. Reflecting on my original cold shower attempt, one of the mistakes I made was not preparing myself mentally; I just stepped in a tried to embrace the shock. Before stepping directly into a cold shower it’s important to spent a minute or so preparing yourself. You can do this by taking in some deep breaths and closing your eyes, getting yourself mentally ready for a shock. This will make the initial shock more palatable while also tuning your focus skills. The same could apply at the end of your shower. Take some deep breaths, focus, and turn the taps to cold. You will be surprised how this type of mental preparation for a cold shower in the morning can spill over into other important activities for the day. These focus skills also align to Wim’s belief that human beings can actually control their immune systems through focus and breathing. Wish I had read this a few weeks back. Froze myself in a cold shower! Biggest trick for me was focusing on breathing. Keeping my breath at a slow steady pattern. I use this now whenever I feel my heart rate change.